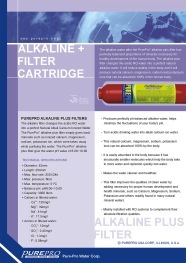 。Produces perfectly ph-balanced alkaline water, helps minimize the fluctuations of your body's pH. 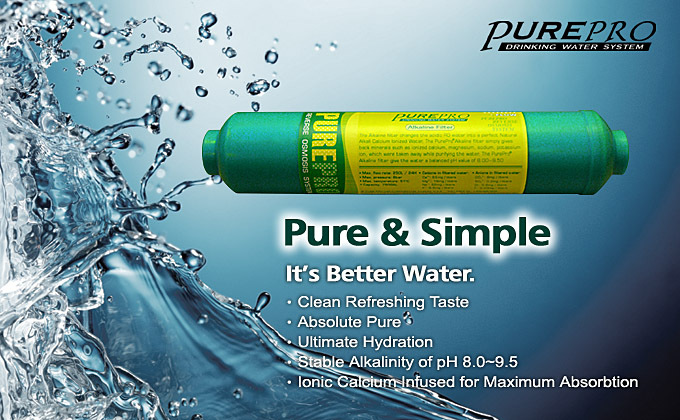 The alkaline water after the PurePro® alkaline filter has perfectly balanced proportions of minerals necessary for healthy development of the human body. 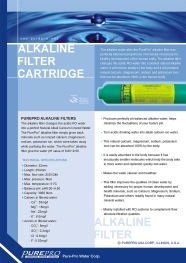 The Alkaline filter changes the acidic RO water into a perfect natural alkaline water. It will reduce acidity in the body and it will produce natural calcium, magnesium, sodium and potassium ions that can be absorbed 100% in the human body.